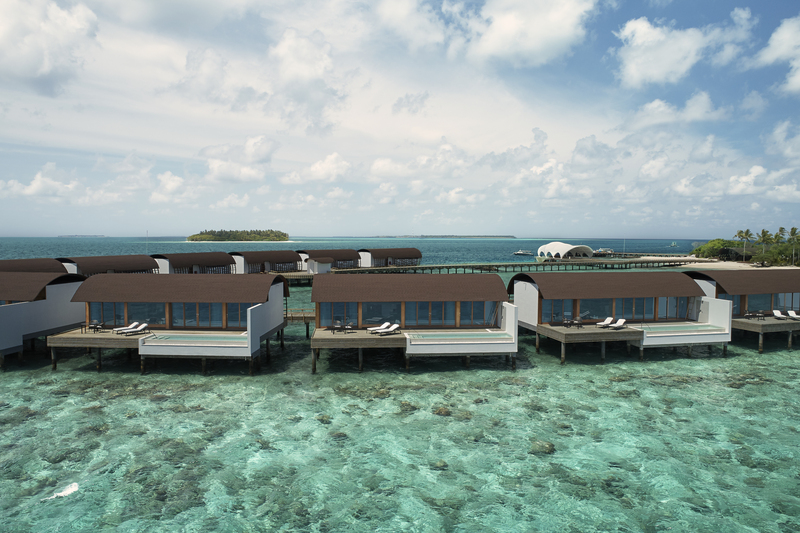 Luxury is in every detail of the newly opened Westin Maldives Miriandhoo Resort – from the marine-inspired architecture to the detailed amenities, private pools behind each villa and the staff’s professional but warm welcome. As soon as your barefoot steps onto the wooden jetty which leads up to the resort on the beautiful, tiny island and you’re handed a cool, refreshing towel, you can feel your stress melt away. 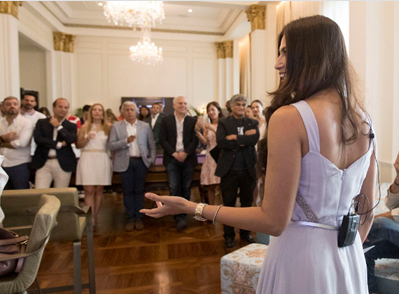 Over the next five days, I was impressed time and time again with the incredible dedication to luxury and wellness that the resort offers. 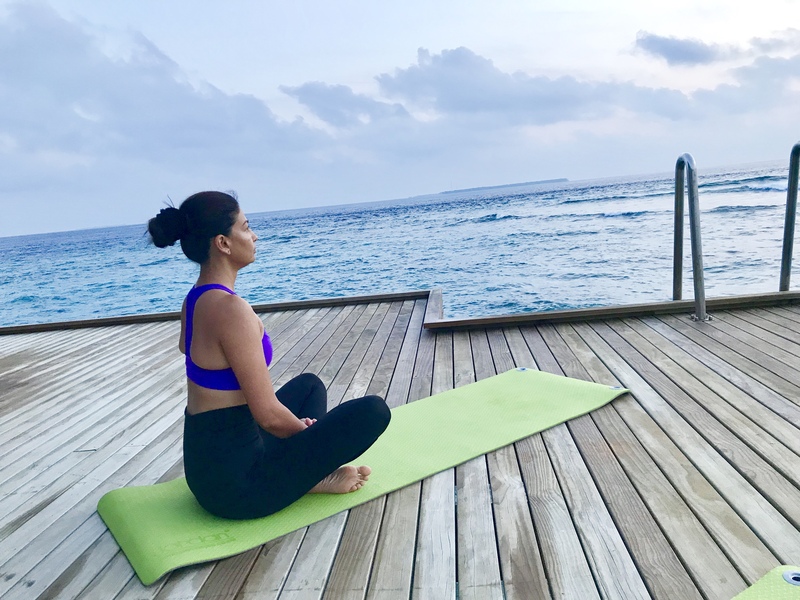 I’ve visited the Maldives twice before with trips that focused on the luxurious side of life so this time I was looking forward to incorporating the wellness facilities and activities on offer. 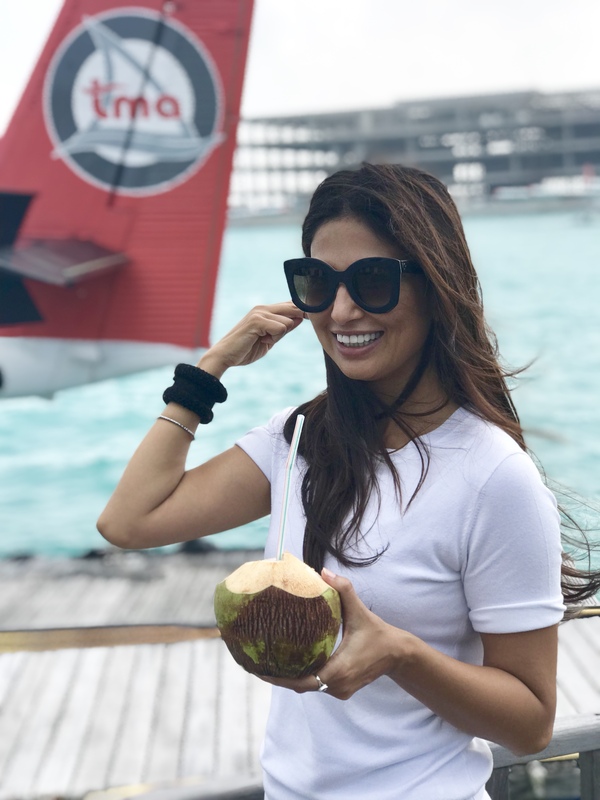 This valentine I was looking for a destination that has, sun, sand and wellness and so my dear friend Shamira Mitha who owns Verve PR in Dubai suggested Westine Maldives and in no time I packed my bags to fly. Situated on a beautiful coral island in the Baa Atoll, the resort is surrounded by an expanse of crystal clear sea which sparkles turquoise, aqua, indigo – every hue of blue imaginable. Because of its remoteness, the only way to get to the resort is by a small seaplane which is an experience in itself. 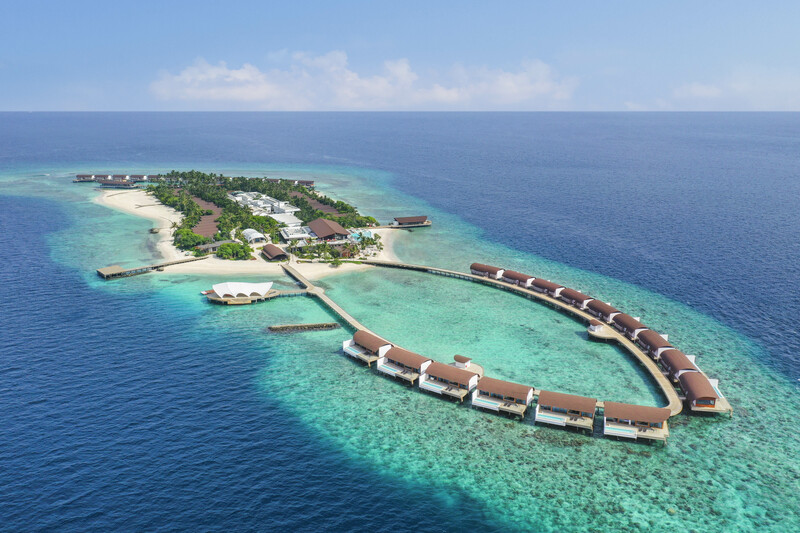 From the air you can truly appreciate the Maldives’ magic with tiny green and white islands dotted in the incredible colours of the Indian Ocean. 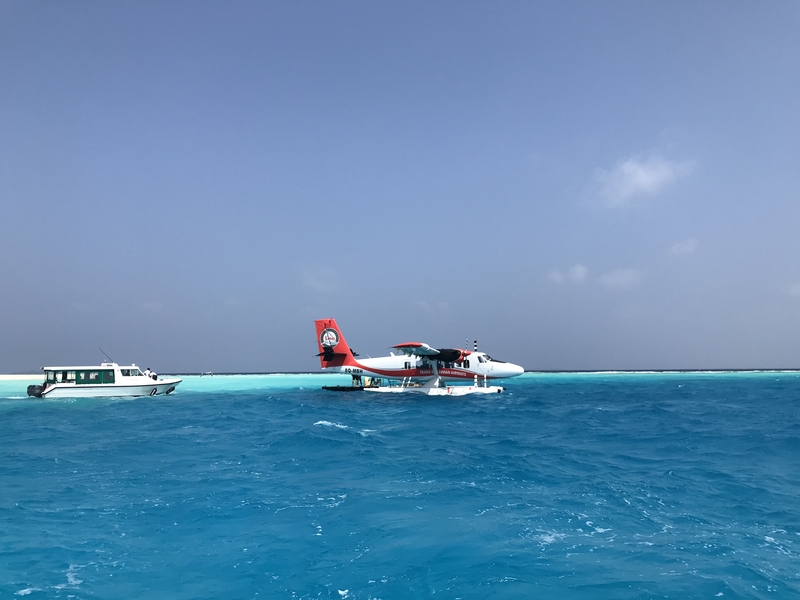 Due to rough seas with large waves I wasn’t able to land at the resort so instead landed in protected lagoon which and were taken to the resort by the Westin’s small boats. The entire management staff greeted us at the large jetty with cool towels and a refreshing cucumber and mint drink which I welcomed after our flight. It helped kick-start our sense of calm and tranquility. As I walked down the jetty over the aqua water, I got a glimpse of what was to become my home before being whisked away in a buggy to our water villa which was perched over the lagoon. 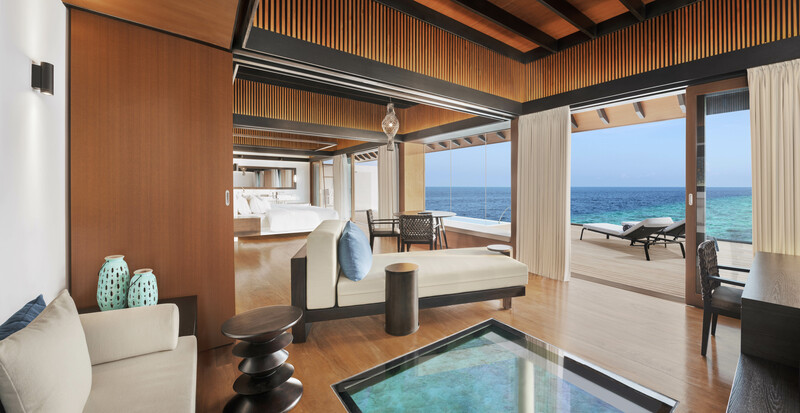 This incredible setting is brought into the architecture through a glass floor, making the ocean a feature of the suite as well as giving unbelievable access to the sea so I could snorkel whenever the mood stroke. Once more, the commitment to luxury continued inside my private villa – one of 70 villas and suites spread across two islands which have the option of sunrise or sunset views and over the water or nestled among the beautiful foliage of coconut trees and palms. Designed by award-winning architects PEIA Associate, every detail in the villa was thought through and complimented the tropical paradise I was in. The eco-friendly design draws on influences of understated style, large spaces, open-plan living with an impeccable attention to detail. Perhaps the pièce de résistance was our own pool where I could cool-off while looking out to the expanse of the Indian Ocean. After settling in and feeling peckish, I made my way to Hawker for lunch which is one of three restaurants at the resort. 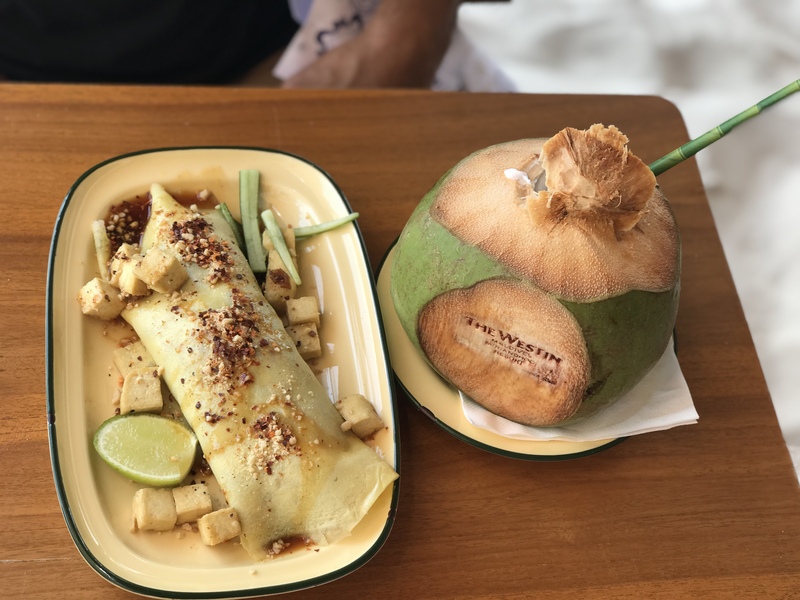 The style at beach-side Hawker is causal and the cuisine is authentic Asian street food, but in an opulent setting. 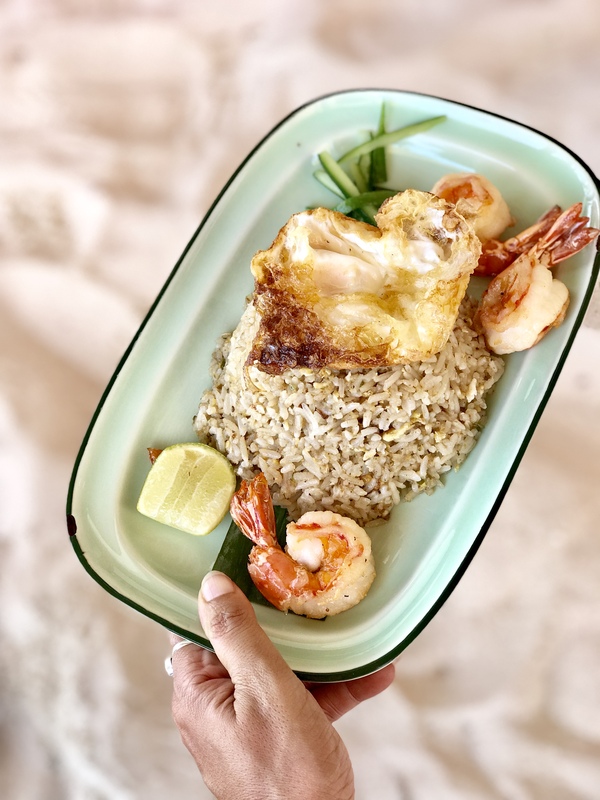 I opted for the soft shell crab, prawn and egg fried rice which was a delicious take on the traditional dish which showed the chefs’ impeccable training and finesse. I took the afternoon to rest and recuperate from the journey before heading for sundowner drinks at the Sunset Bar. There I enjoyed a lovely drink, the warm sea breeze and watched the colours change as the sun sank into the horizon as the DJ played music which perfectly accompanied the vibe of the sleek, laid back lounge bar. 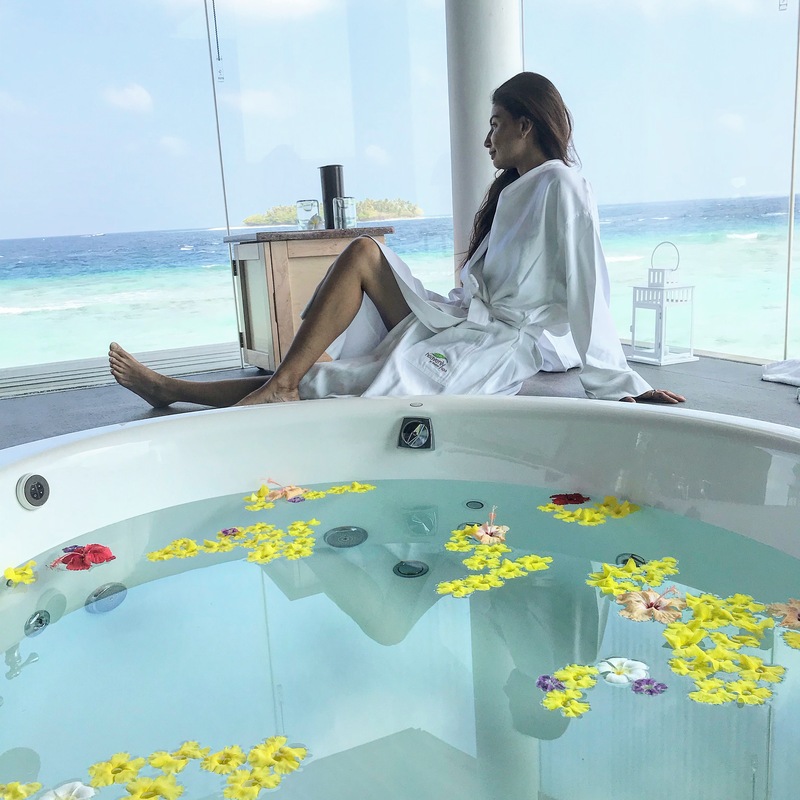 Every part of the Westin Maldives experience drips with luxury and elegance – including the Heavenly bath experience which was the perfect way to end our first day. 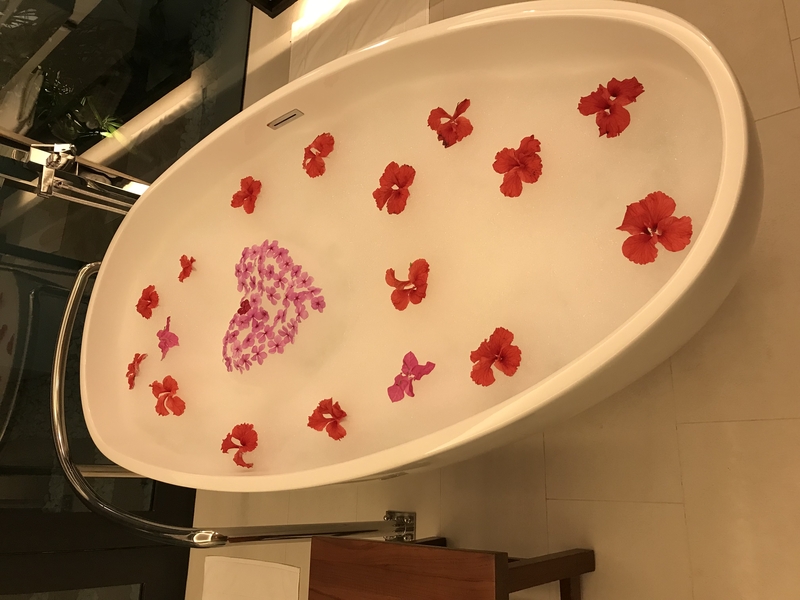 When I got back to my villa after dinner, the bath had been drawn with rose petals scattered over the bubbles. Soaking in it both relaxed and refreshed me and set me up for a wonderful night’s sleep in the famous and exclusive Westin Heavenly Bed which have been developed to promote sleep to restore your body and mind. You’re also given a menu for the different pillow options so you can choose one which you like best and find most comfortable. It’s the little details which make you feel at home. I was so looking forward to the wellness offerings at the Westin Maldives. The next morning I made a start at making the most of them by stretching at the gym which, like the rest of the resort, offers uncompromised views across the aqua sea. They’ve truly incorporated these into this resort which offers an array of activities including yoga and personal complimentary training sessions. 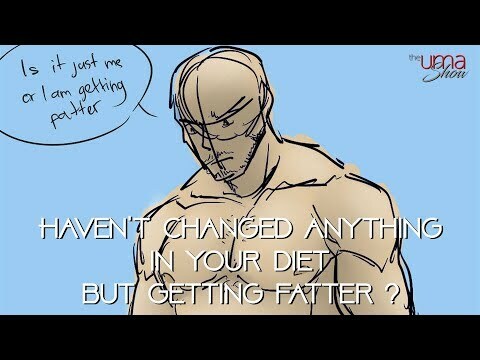 This is also present in food. 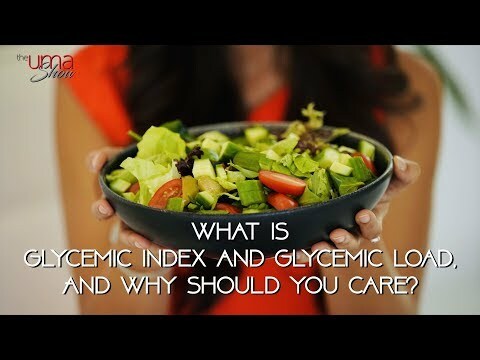 Every morning I was spoiled with an incredibly elaborate breakfast buffet which had many healthy options, including the celery juice I drink daily at home. 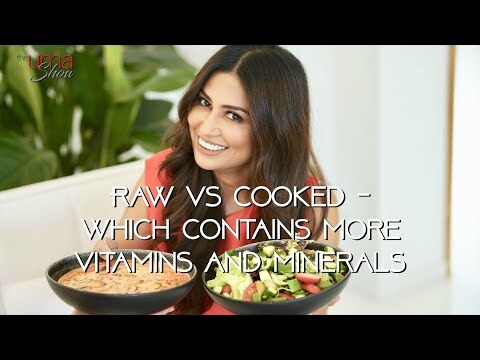 And for our other meals, the chefs were extremely accommodating and offered me modifications to the dishes to make them healthier and fit within my diet. A favourite meal of mine which I had at the Island Kitchen was ceviche with steamed fish and vegetables. At the other evening restaurant, The Pearl, the décor is refined and the Japanese cuisine with exquisite and beautifully-cut sushi from fresh and local ingredients. The Westin Maldives has a spa unlike any other I’ve been to. Set over the water and with stunning sea-views and glass floors, the Heavenly Spa brings a sense of calm by bringing the ocean into the treatment rooms where you’re spoiled for choice of therapies and massages. I opted for a deep tissue massage to help heal and recuperate my body which was provided by an incredibly well-trained masseuse who made adjustments for my needs. 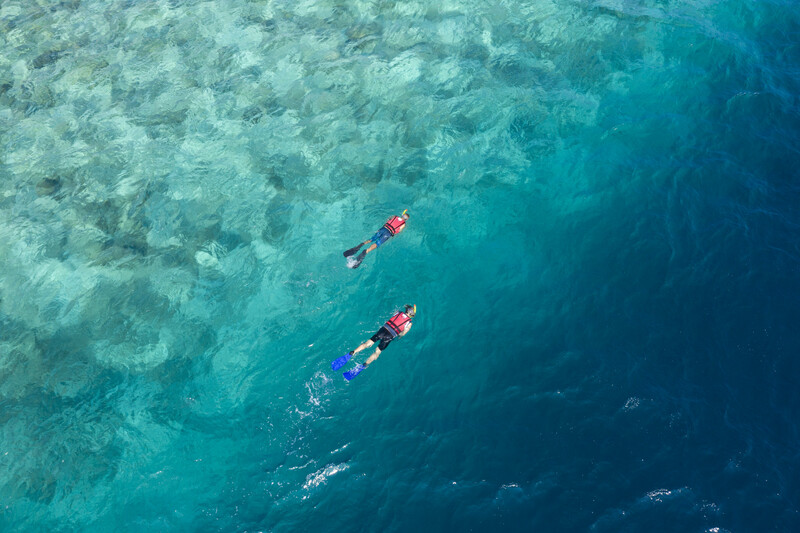 And in between resting, yoga, pranayama, mediation and treatments at the spa, Imade the most of the incredible snorkelling which is unmatched almost anywhere else in the world. Not only is water perfectly warm, but it’s crystal clear so you can see all the details of the underwater heaven which lay beneath us in exquisite detail. It’s such a joy and privilege to see the green sea turtles, which are a protected species in the Maldives, feed from the algae on the coral reef just metres from me as I floated on the surface. Unfortunately, the reef itself took a bit of a beating from the last tsunami so during our visit the coral wasn’t as colourful as it has been in the past but the multitude of fish and sea creatures more than made up for it. I easily spent hours lost admiring this amazing underwater dreamland. I was also fortunate enough to be taken out dolphin watching, which is an incredibly precious experience. I was taken out on a boat which had a upper deck and gave me a birds eye view of the water. Soon enough we came across a whole pod of dolphins with many mothers and small calves. Such playful creatures, they put on an incredible show for us jumping and gliding through the water, faster than our own boat could take us with their high-pitched squeals filling us with laughter. 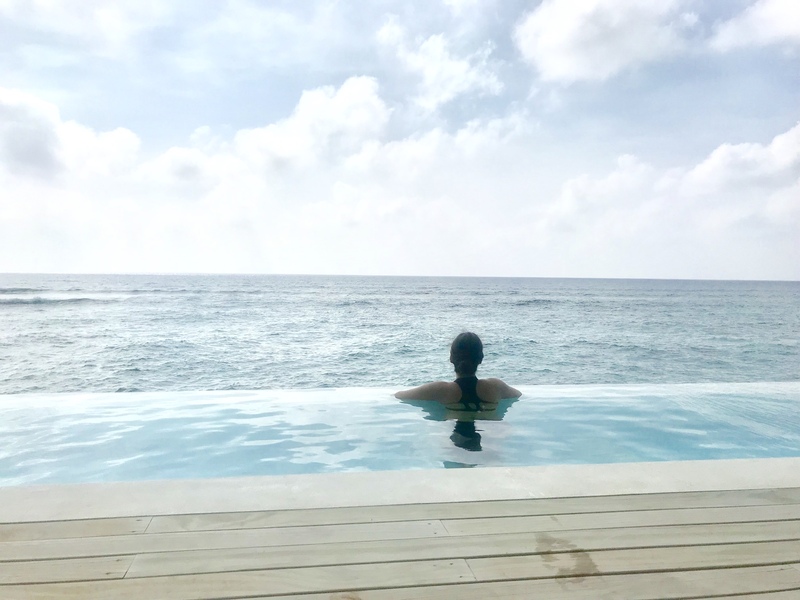 My five days spent at the Westin Maldives can only be described as heavenly and I couldn’t recommend it more to anyone looking for a relaxing and luxurious escape which is truly a once-in-a-lifetime experience.